The value of human life before birth is key to the Biblical account of what we call Christmas. The Greek word which refers to a preborn baby in Luke 1:41 is the exact same word found in Luke 2:12, referring to baby Jesus in the manger. One was unseen, but the other was seen. 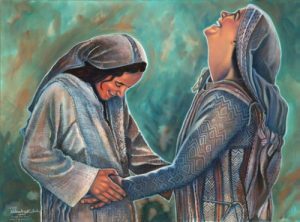 Mary quietly pondered what she witnessed as the mother of Jesus. Let us then solemnly ponder God’s plan for the Church of Jesus Christ in relation to His unseen “little ones” today. Thanks so much Tim and Terry.